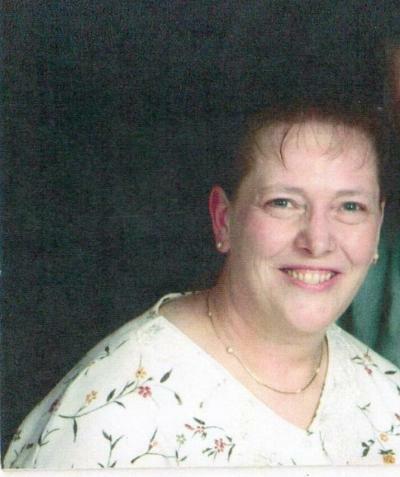 Theresa Frances Borka, 63, of rural Hutchinson, died Wednesday, Feb. 10, 2016, at her home, surrounded by her loving family. A Mass of Christian Burial was held Monday, Feb. 15, at Holy Family Catholic Church in Silver Lake with the Rev. Paul Schumacher as the celebrant. Theresa Frances Borka was born May 11, 1952, in Shakopee, the daughter of Wilbert and Frances (Schindler) Buesgens. On May 8, 1971, Theresa Buesgens and Robert “Bob” J. Borka were joined in holy marriage at St. Joseph’s Church in Waconia. God blessed their marriage with three sons. Theresa and Bob Borka engaged in dairy farming in Hutchinson Township, McLeod County, for many years. She formerly was employed at The Prairie House, Hutchinson Sales Barn, Silver Lake Hatchery, Plato Woodworking and 3M. Mrs. Borka was a faithful member of Holy Family Catholic Church in Silver Lake and its Council of Catholic Women (CCW). She also belonged to The Knitting Club. Mrs. Borka loved her family, especially her grandchildren. She enjoyed crafts, especially those which used thread. She is survived by her loving husband, Bob Borka; sons, Darrel (Jackie) Borka of Hutchinson, Tony (Kim) Borka of Hutchinson and Jay (Julene) Borka of Winsted; grandchildren, Alyssa, Grace and Addison and Riley and Chloe; sisters and brothers, “Toots” (Guy) Johnson of Waconia, Chris (Roger) Borka of Waconia, Ken (Deb) Buesgens of Cologne, Dan Buesgens of Slayton, Jim (Teresa) Buesgens of Cologne, Paul Buesgens of Waconia and Mark (Michelle Kopp of Waconia; stepbrothers and stepsisters; many other relatives and friends. The Maresh Funeral Home in Silver Lake served the family. Online condolences may be made at www.mareshfuneralhome.com.